Few days ago , my 3 year old PC stopped working after some fire sparks and smoke of burnt wires coming from the back of the CPU. I didn't knew what happened but came to know that my Hard disk is defected due to Shorting of Pins and Wires of Hard Disk. 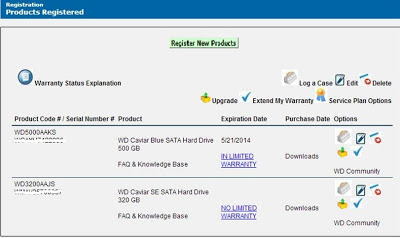 The Hard disk was of 320 GB Capacity and was Under Warranty / It came with 5 years warranty. So , like many Hard disk manufacturing companies , I thought to submit my faulty Harddisk of WD to their Service Centre. I Google about the same to Know where is their service Center nearby Chandigarh , India. but came to know that there are no Service center of Western Digital in India. 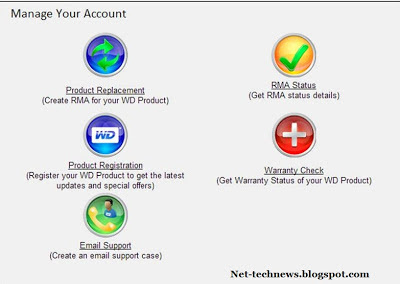 In this Post i am Going to share the Procedure to Get your Western Digital Product or Hard disk replaced in India. Well many people complaints about bad Service provided by WD during replacements of products , however they replaced my faulty HDD easily and sent me brand new Hard disk of 500 GB as they have discontinued manufacturing 320 GB Hard disks. 1. Go to WD website / support Portal : [ Link ] and make a account on it. If you have already an account skip making it and log in to your account. After you log-in to you account you will see various options like Product Replacement , RMA status , Product registration , Warrant Check as shown in the image below. 2. Click on Warranty Check and enter the Product Serial Number to Check whether your product is under Warranty period or not. 3. 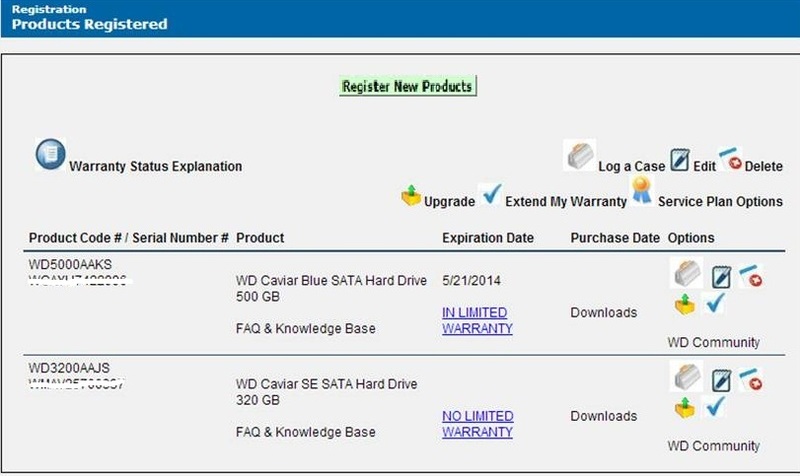 Register your WD product : After Checking your warranty , you need to Register your WD product. Click and Register product and Proceed with Registering your Product. 4. 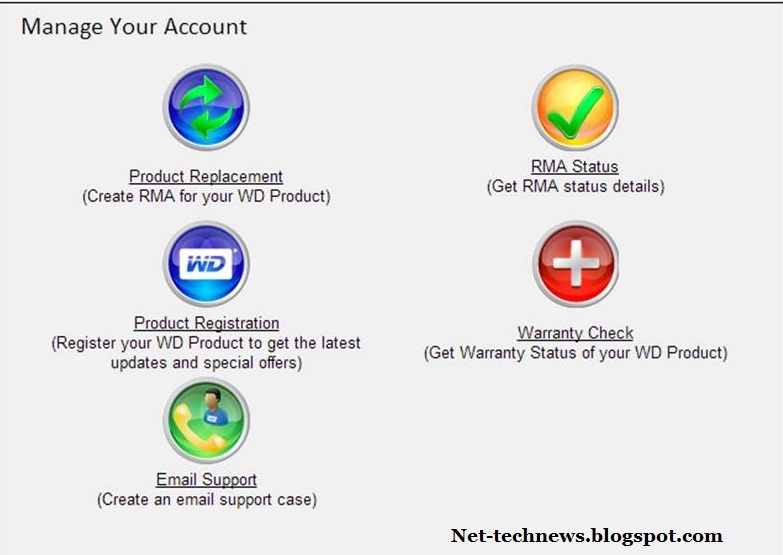 After your Product is registered , You can proceed with Creating RMA (Return Merchandise Authorization) of your Product. 5. Click on Product Replacement option and you will notice two type of replacement option available : Advance replacement replacement and Standard Replacement. Advance replacement iss for US , Canada and European Countries and in this , WD ship you new product before they receive the defected product. For this , you must have Valid credit Card with you and you can make 5 requests a day. Standard Replacement is for other countries , in this you have to send WD , your defected or faulty product and then they will ship you new product. 6. Well i opted for standard Replacement Option and Clicking on standard Replacement will show you your Products and their Warranty status and expiration date , Tick the product you want to get replaced , Type the RETURN REASON and Reason COMMENT. and click on continue. Next you have to choose a day on which the courier man will come to your Source / Home for Picking your Product. You can choose any of the day but make sure somebody is available at the Landmark to give the Product to Courier Man. Note : Make sure that you Pack your Product in a Box properly and Note the RMA number provided. 7. Pack your Product in a box : Pack your product and Note the RMA number . The Courier man will come on the Choosen date , hand over the faulty Product to him and You are done . Keep Visiting the WD Website and Log in to your account to know status of your Product. 8. Shipping the Product : After some days , WD will ship you Replaced Product back to your Address.